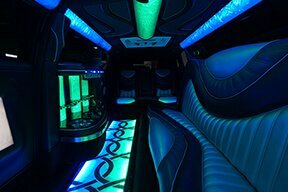 Thank you for visiting the Macomb area's best party bus and limousine service! If you're wondering what sets us apart from the competition, you've come to the right place to find out. It is our sincere passion to go the extra mile in providing great customer service, top of the line luxury vehicles, as well as excellent pricing. So, regardless of the size of your group, we are able to accommodate you! I bet you're pondering to yourself right now... Why on Earth would someone rent a luxury vehicle? Because they are quite simply the coolest thing to happen to transportation! 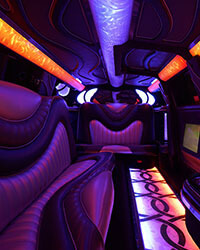 People rent our luxurious Macomb limousines and buses for many reasons. 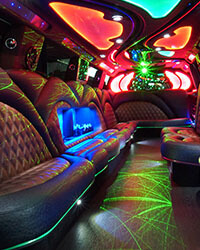 Luxury transportation is a perfect addition to any celebration, no matter what it may be. 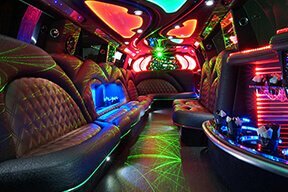 Whether you're celebrating a wild birthday or an elegant wedding or a professional corporate event, a limo or bus is a great way to travel. 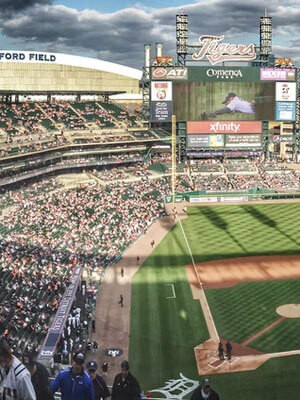 The most common events we provide service for are bachelor/bachelorette parties, weddings, sporting events (think of the potential tailgate party you could have at a Tigers, Red Wings, or U of M game or any other Michigan sports game), and spectacular birthday parties. We are available 24 hours per day so you can reach us whenever you need us. You are more than welcome to call us at any time of any day if you wish to find out more about our services. Our phone number is 586-276-7475. When you call, you are welcome to inquire about booking an evening or even finding out if we have any specials or package discounts running for the day(s) you wish to reserve. Generally, to provide you the fairest price possible, what we charge varies based on demand and the inherent costs of operating the vehicles. No matter what you would like to know though, we are always glad to hear from you! We invite you to take a look at our site and learn more about what we have to offer. 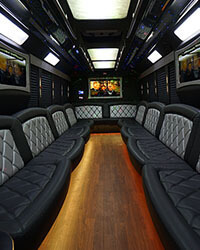 Our party buses are jam packed full of amenities that you'll use. Loud stereo system with subs where you'll be able to connect your phone or music player to, to play all your favorite songs. In most of our buses, there's a dancing pole, so break out new moves on to impress your friends or embarrass yourself. You are allowed to drink on our vehicles. There are even coolers filled with ice to keep your drinks cold. Behind the seats in most vehicles are cup holders to set your drink down so that you don't have to hold onto it. If you want to play a movie or slide show, we have TVs and a DVD/Blu Ray player. 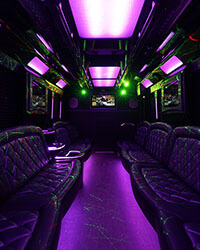 With the color changing lights, it's like a club on wheels. You'll not want the night to end. We will service every type of event. There's nothing we won't do. 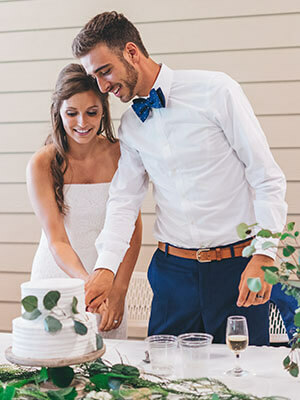 Our most popular events are weddings, bachelor and bachelorette parties, nights out and homecomings/proms. You can use our service for virtually anything. There is unlimited stops and miles so there are no restrictions besides that you have to stay in Michigan. You can rent a vehicle for eight hours and just drive around the whole time, just making stops for the bathroom. It's up to you. 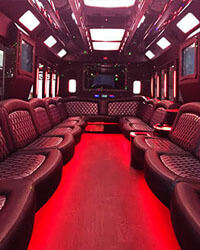 Having a limo bus is perfect for when you plan on drinking during a celebration. 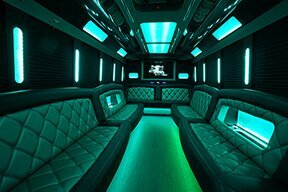 When you go to the bar or club with a luxury bus, you have to have a designated driver, a taxi or another way to get home safe. Please do not drink and drive. 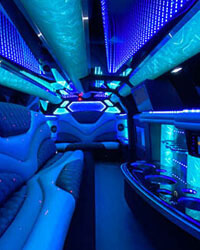 When you rent a limo from us, we are your driver. We will take you where ever you want. Everyone can drink and no one has to miss out on the fun. Plus, you'll all get to travel together when you opt for one of our spacious vehicles! You'll get dropped off and picked up instead of having to find parking. It really makes the whole night a lot more fun when you can focus on having fun and not transportation needs. Explore the rest of the site to find information on prices, our service area, about us and answers to questions you might have. We will answer your phone calls every day of the year. Nights, weekends and holidays included. When the mood hits you to inquire about a luxury vehicle, we are here to answer any questions you have or give you a quote. You'll receive your quote after you answer a few simple questions that gives us an understanding of what kind of service you want. Then you can continue with the reservation if you are happy with the affordable price. We look forward to answering your calls and helping you with your reservation. 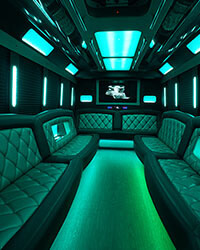 Contact us by calling 586-276-7475 or emailing info@macombpartybus.com. 2018 © Copyright Macomb Party Bus All rights Reserved.